When the snow begins to thaw it means it's time for skateboarding at Rainbow Park! Silverthorne offers week long skateboarding camps for kids ages 5-12 at the beginner and advanced beginner levels. Bring your helmet and board and get ready to ride! 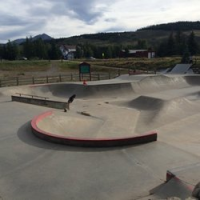 Learn skate park etiquette and gain confidence, balance and basic skateboarding techniques during skateboard lessons at the Silverthorne Skate Park.